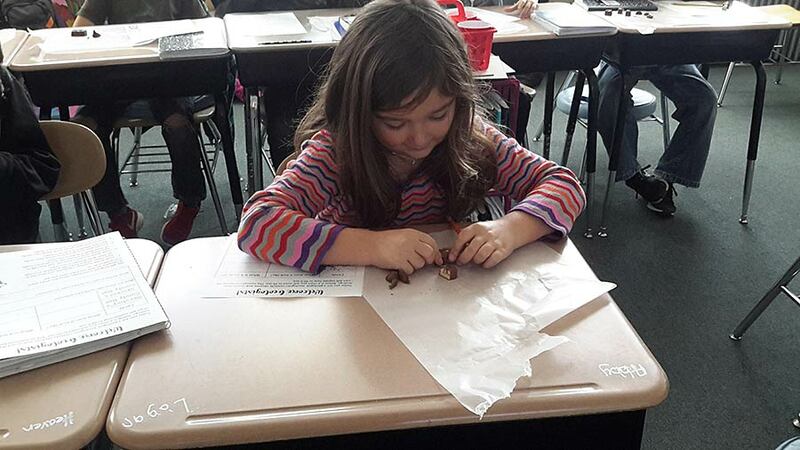 Rocks, minerals, Hershey Kisses, Snickers – oh my! 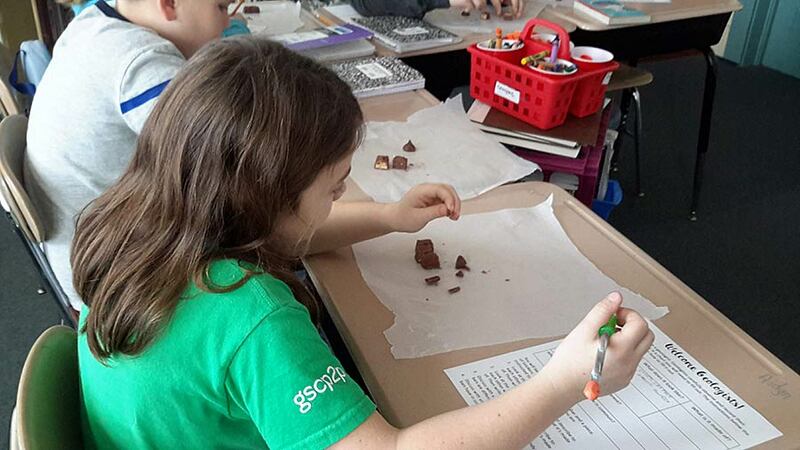 Fourth graders at Saluda Elementary learned the difference between rocks and minerals using chocolate. The students are starting their study of the rock cycle. 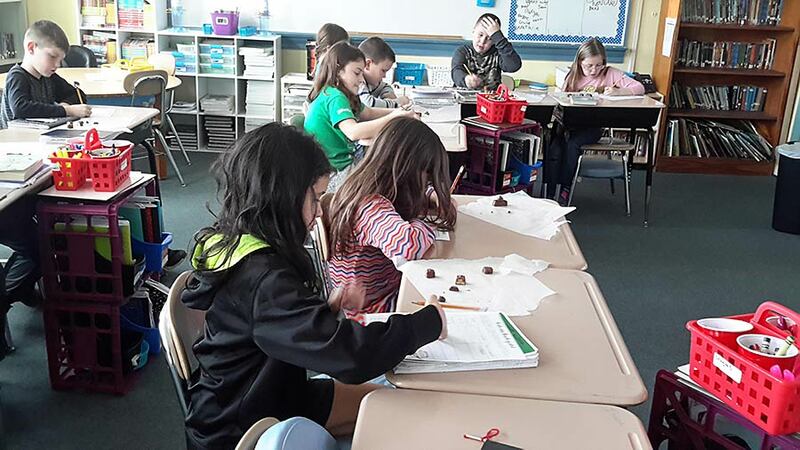 Students were given Snickers and Hershey Kisses and told to use their science processing skills to record information about how they were the same and different. They learned that the Kisses are similar to minerals in that they are one substance while the Snickers are similar to rocks, a mix of different minerals. Students learned that a mineral can be in a rock, but a rock can’t be in a mineral.